The homeowners loved the neighborhood and the basic layout of their 1970s ranch home, but the original kitchen limited their ability to entertain large groups. Fortunately, they had room on the side of their home for a 12-foot addition, but that presented a major challenge if the existing roofline was extended. The existing home was dominated by the roof. Adding a dormer over the kitchen and addition achieved three major benefits: 1. It provided space for a partially-raised ceiling to break up the original 8-foot ceiling; 2. It allowed installation of a rounded clerestory window to capture more daylight; and 3. The new dormer effectively broke up the “all roof” look. 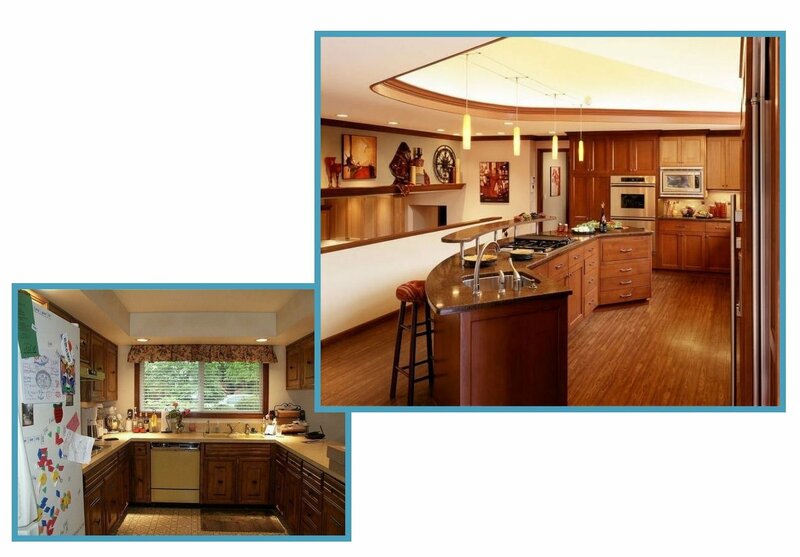 The remodeled kitchen is now comfortable for major entertaining, at any time of the year. 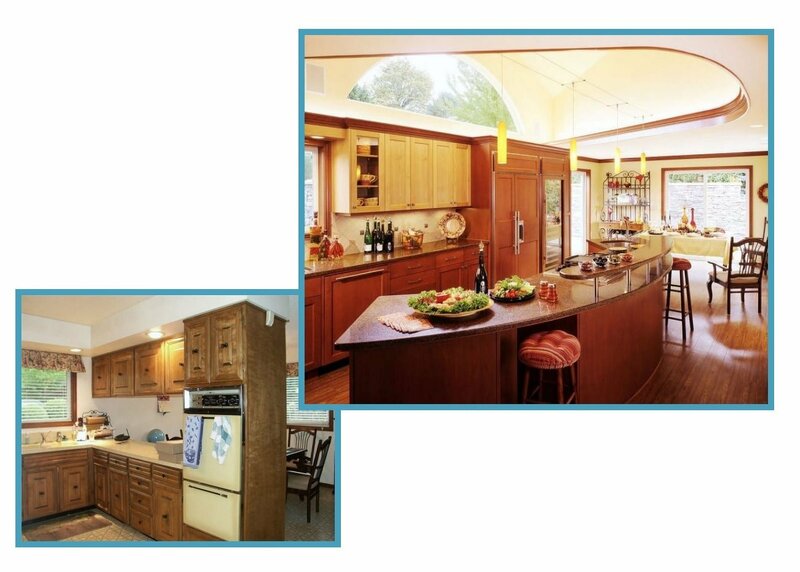 This kitchen addition and remodel won three national prizes and was featured in The Oregonian.